New Year, New You ... new broadband package? It's undeniably tempting to throw out the old and get a new bundle for your home internet connection, especially given the blockbuster deal rolled-out by Plusnet today. The Yorkshire-based broadband company, which is advertised by lovable local 'Plusnet Joe', is offering unlimited broadband for £18.99 a month. Plusnet has also slashed 50% off its one-off £10 activation fee for the new 12-month contract. As you'd expect with an unlimited package, there are no hidden fees or costs regardless of how much bandwidth you get through over the course of the month. The internet firm claims that broadband customers can expect to see an average download speed of 10Mb on the £18.99 a month bundle. For context, Netflix recommends users have a 5Mb connection to stream in High Definition, so there should be no problems watching the latest must-binge box set in crisp 1080p. Plusnet will also throw-in a brand-new wireless router worth £40 that can be set-up in a matter of minutes – without the need for a technician. 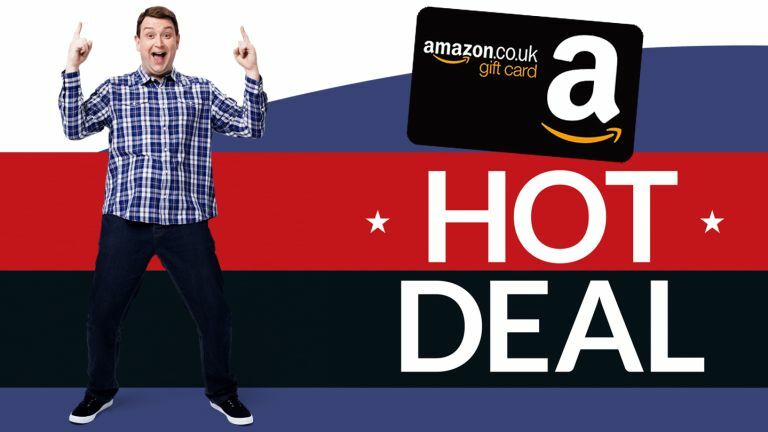 But best of all, the unlimited broadband contract currently comes with a very generous £60 Amazon.co.uk Gift Card that you can spend on whatever you want from the online retail company. If you're looking to upgrade your broadband – or simply bag a free Amazon.co.uk Gift Card, it's difficult to go wrong with this bumper January sale from Plusnet. Not only has it slashed 50% off the one-off activation fee, but there's also £60 to spend on Amazon.co.uk when you sign-up to the unlimited broadband plan with Plusnet. Those who want a little more oompf from their broadband connection can upgrade to Plusnet's fibre offering, which offers average download speeds of 36Mb – that's more than the recommended 25Mb to stream Netflix shows in 4K Ultra HD. Unfortunately, Plusnet does not include an Amazon.co.uk Gift Card with its fibre broadband, although it has dropped the £25 activation fee. If you're not a fan of Plusnet, or would rather opt for a faster fibre contract, then check out the interactive chart of all the latest deals, offers and prices below.